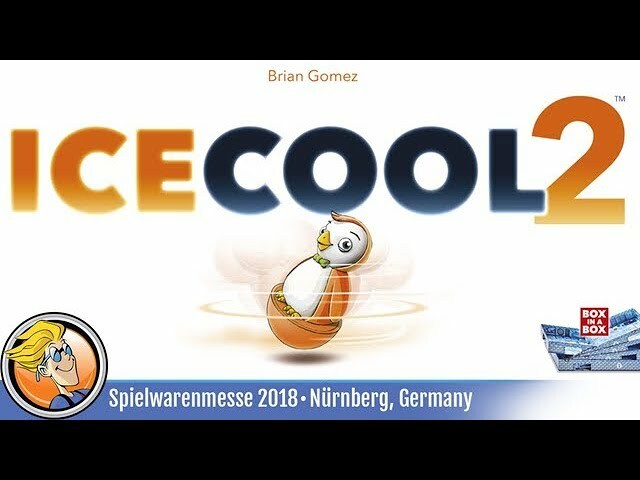 Follow up to the 2017 winner of the Kinderspiel des Jahres, Ice Cool 2 is a game of flicking, spinning, and jumping penguins as they get away from each other in a dexterity-based board game of slipping and sliding. Featuring a three dimensional board that can be rearranged as you like, Ice Cool 2 is filled with fun and laughter for all ages with new tasks, fish-moving powers, and optional tournament scoring. Buy Ice Cool 2 to either play on its own or to be combined with Ice Cool for multiple new layouts, race game modes, up to eight players, and customizable maps!